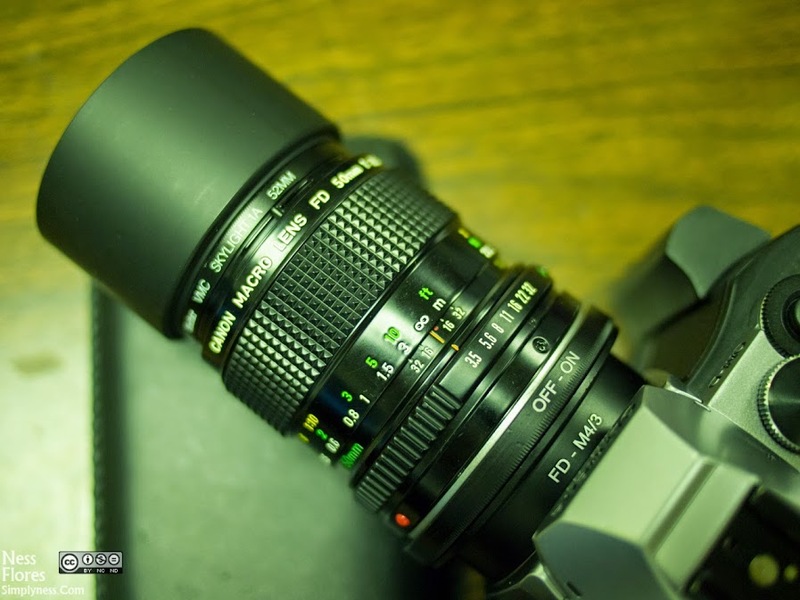 I bought my Canon FD 50mm F/3.5 Macro lens from eBay after reading good reviews about it. Based on the test shots I did, the lens is an excellent performer, it is sharp at f/3.5 and improves a lot when you stop down. 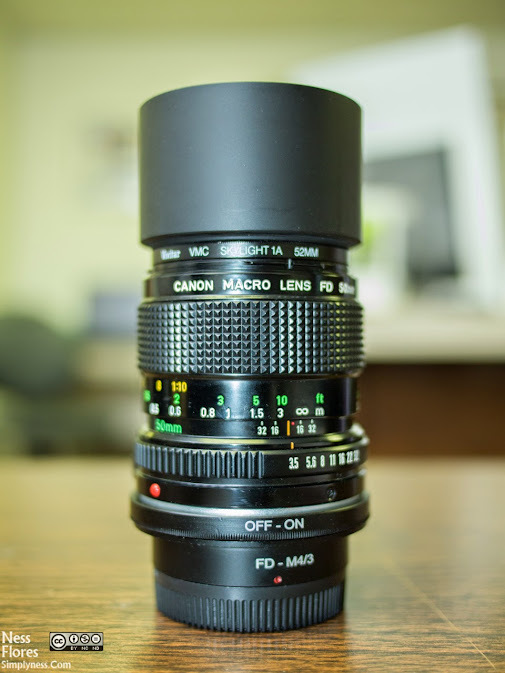 Like my Canon FD 50mm F/1.8, this lens is in great condition for a lens this old. It is heavier compare to my native M43 lenses, but feels well balance on my OMD EM5 and Pen EPL-3. Canon FD 50mm F/3.5 Macro Manual Focus Lens with a 52mm Metal Lens Hood. The lens is a solid performer. Most of the sample images below where shot at f/3.5. The focus ring is smooth and well damp, it’s not too tight and not too loose, just right, making this manual focus lens a joy to use. It has a close focusing distance of 0.23m or 9.05512 inches which makes it capable of capturing one-half life-size. But with the included Canon FD 25-U Extension Tube, I can get even closer at 0.205m or 8.0708661 allowing magnification from 0.5X to life-size. I just need to mention that this is a manual focus lens, the aperture is not recognized by the camera and only the Shutter Speed and ISO will register on the EXIF. But you can still control and change the aperture, and you do this on the lens itself using it’s aperture ring. You can still shoot in any mode you want, when shooting in Aperture Priority, your camera will still give you the shutter speed and ISO if set to auto iso, when shooting in Shutter Priority, you set the desired shutter speed, but it won’t give you the aperture since it’s a manual lens and you have to set it in the lens, same goes with manual mode. If you are looking for a macro lens for your micro four thirds system or any mirrorless camera system, I can highly recommend the Canon FD 50mm F/3.5 Manual Focus lens. It’s cheaper than the Olympus MSC ED M. 60mm f/2.8 Lens , which I’m sure is an excellent macro lens. I got my FD 50mm macro for $90 including shipping, the Olympus MSC ED M. 60mm f/2.8 Lens is priced between $450-$499. If you can work without the autofocus, then I’m sure you’ll be happy with this lens. My next review will be about the beautiful Canon FD 135mm F/3.5 Manual Focus Lens with Chrome Tip. 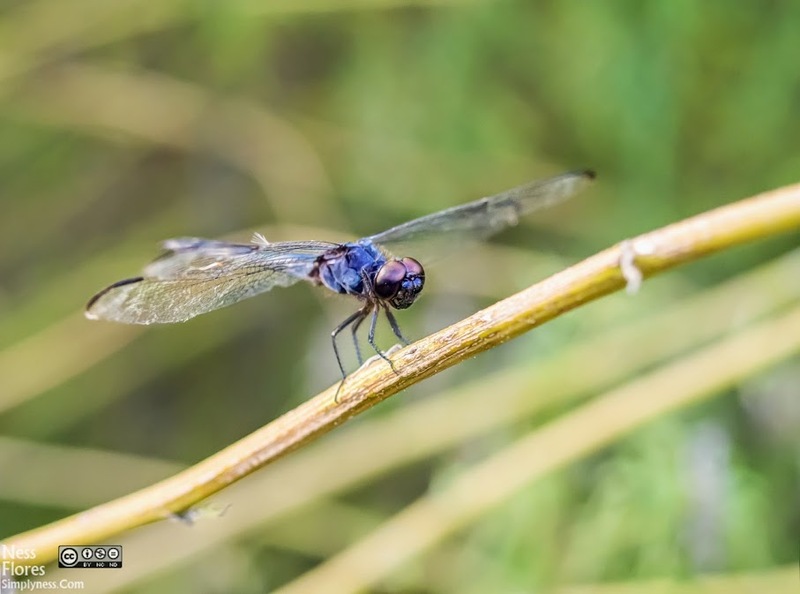 This entry was posted in Photography Gear Reviews and tagged in 50mm, canon fd, canon fd 50mm F/3.5 macro, Canon FD Lenses. What is the magnification ratio, 1:2? Do you know how the max. aperture is calculated? “The f-number is the focal length divided by the diameter of the aperture”. As the focal length has not changed, It is still 3,5, you just crop from the image area.